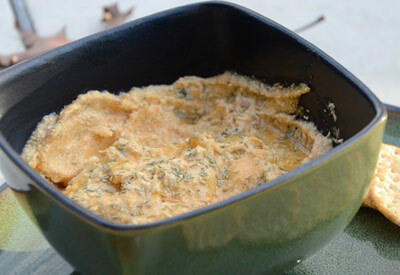 In a medium bowl stir together ricotta cheese, pumpkin puree, honey, rosemary, salt and pepper. Spoon into a serving dish. Garnish with a drizzle of honey and sprinkle with rosemary. Serve with crackers or spread on toasted bread. Dip can be made ahead and placed in the refrigerator. When ready to serve, garnish with honey and rosemary.